Building a brand from scratch isn’t the result of a monetary investment, but rather a creative endeavour. In the digital era, garage brands aren’t required to invest in sponsorships, charity donations or push advertising campaigns to scale. With a unique visual identity, innovative product/service features, and a strong digital presence, a garage brand can dominate their vertical and break out of a saturated industry. The brain processes visual content 60,000 times faster than text and a large portion of brand recognition begins with a strong, unique logo. It’s important that your logo is optimized to be displayed across multiple devices and sizes, as well as being able to be blown up for a large scale printout. Consider enlisting the help of web design professionals or using a credible logo template. Every brand should feature a consistent color scheme synonymous with the characteristics of the business itself. Your logo, every document you email, all blog posts you publish, and essentially everything your brand has its hands on should feature your brand’s color scheme to instill brand recognition in the customer’s mind. Creating a brand is one thing, but scaling your brand requires being found. A long-term, and virtually free, SEO and social media strategy will present the greatest ROI and ability to scale your brand. Consider establishing a website using wordpress, which offers incredible plugins to make your website interactive and SEO friendly. Optimize your website and theme using your brand’s colors, logo and ethos. Next, register your website and business in all of the proper directories and local citations to begin indexing your website for local searches. According to a report from SimilarWeb, 38.9% of global e-commerce sales are attributed to search engine searches. It’s important to establish a social media profile for your business. Establish a profile on Twitter, Facebook,. Instagram, LinkedIn, and Pinterest (if applicable to your vertical). Social media channels are a free resource to distribute fresh content, engage with your audience, and advertise your products/services. Group forums, analytics software, and advanced demographics targeting allows businesses to establish a buyer’s persona for their target audience. Leverage analytics to discover which channels your audience communicates over more and use targeting features to place content directly in front of your target audience’s eyes. Optimize your account with the appropriate color scheme and images. 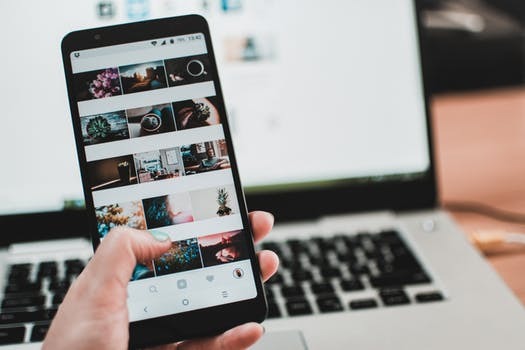 Leverage your social media channels to create brand stories- which people prefer to traditional advertising- and engage audience members with contests, free polls, and giveaways to expand your brand’s recognition and likeability. Content marketing is also a free tactic (minus the time) your brand could leverage to create authority around your brand or even influence the influencers. Establishing thought leadership and brand recognition rests in the voice your content conveys, as well as the information it has to present. Create an authoritative piece of content, such as an ebook or whitepaper that will drive people to your website. Create content surrounding your core products to rank your landing pages higher for specific search keywords over Google. The more content you produce the higher your Google indexation rate will be and thus your website will be easier to find. Content marketing services can help to guide you along an editorial calendar that both establishes your brand and ensures your message is consistent. If you’re ever struggling for unique ideas for content, leverage the skyscraper technique. Simply take conduct a competitive analysis or use BuzzSumo to discover highly trending ideas and improve upon them. Finally, promote all content you create over social media to gather readership and pulls leads into your funnel. Extend your brand’s reach through guest posts or syndicated posts over reputable publications. Consider seeking funding from other places, such as a crowdsource to extend your marketing campaigns to new channels. A cheap and effective way to to create a referral marketing source is through industry influencers or thought leaders. Considering sponsoring or partnering with industry influencers who will promote your brand to their audience in exchange for your sponsorship. Another great source of referral marketing comes from your clients and customers. Your brand is only as its fulfillment to customer service. Ensure that you respond to complaints in a timely manner and always maintain your online reviews. If you have happy customers, ask them to write a customer testimonial or even encourage them to produce user-generated content that will provide social proof for your brand’s value. Many of these strategies don’t involve a monetary investment and most present a high ROI, if executed properly. Transforming your garage brand into an established brand in the mainstream really relies on a little creativity. Forget traditional advertising and leverage informations technology to truly scale your brand at about a quarter of the cost.